That’s right. I am not happy with Hermione Granger being played by a black actress in the upcoming play Harry Potter and the Cursed Child Part I and II (move over Shakespeare), and in this day and age that makes me a racist. Oh no. Right-On Rowling is of course gushing, but then again just imagine what she would have had to put up with from the media and (shudder) Twitter trolls had she expressed anything less than wild enthusiasm… luckily she knows which way her bread is buttered. Canon: brown eyes, frizzy hair and very clever. White skin was never specified. Whatever you say, Jo. Never mind the fact that Hermione regularly blushes pink or turns white with fright in the books, eh? She is also never described as having frizzy hair. Bushy, yes. Frizzy, no. And yet she was very vocal about nipping things in the bud when she wasn’t happy with them, like when Chris Columbus wanted some Hogwarts pupils to be American or when the Half-Blood Prince script had Dumbledore reminiscing about a pretty woman he used to know (“No! He’s gay! !” JK apparently shrieked). The line was cut. This never happened. Do you hear? The Guardian, by constantly repeating the mantra “white by default”, keeps trying to brainwash us all into thinking this is a bad thing – in a country where nearly 90% of the population is white. Sorry, I meant hideously white. 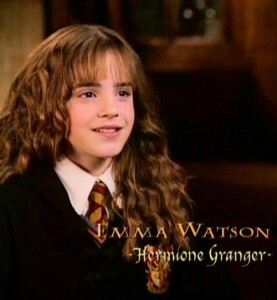 In the Prisoner of Azkaban, she is described as “very brown”. She is described – by Harry who hasn’t seen her for two months – as very brown BECAUSE SHE JUST CAME BACK FROM HER SUMMER HOLIDAY! If she were indeed black, would he suddenly notice that fact after knowing her for two years? The default assumption of whiteness is so strong and unspoken, it’s a hard habit to kick. And it needs kicking why? 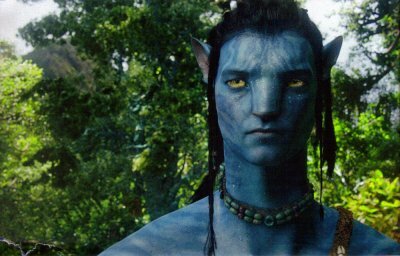 If an author wants us to know a character isn’t white, they’re free to use their words after all. The same is true of our heteronormative culture, which is why JK Rowling had to spell it out to us that Dumbledore is gay. She did not spell it out, she mentioned it in passing during an interview. “Our heteronormative culture” is not to blame either. 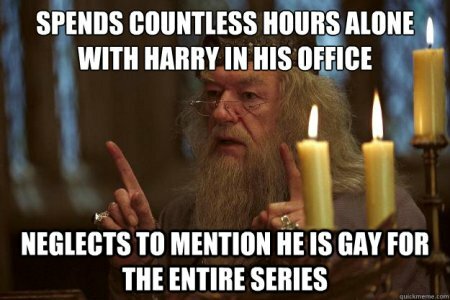 It just so happens that Dumbledore’s sexuality is so utterly irrelevant to the storyline that no one had even speculated about it. He’s over 100 years old, for a start! If it hadn’t been for that little script issue I mentioned earlier, it would never even have come out (har har). Minority? Says who? This is entirely made up by the writer. 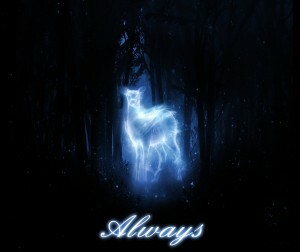 If anything, the pure-bloods are an endangered minority in the Potterverse. 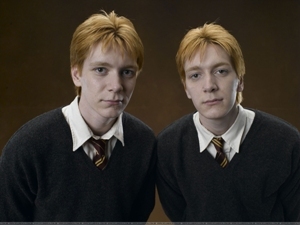 The Muggle-born and half-bloods are doing just fine. She is also an activist who understands and will stand up for the oppressed, whether people, giants or Hippogriffs, and who campaigns for an end to the enslavement of elves. This is quite laughable. She’s a clueless activist who actually understands nothing about the causes she is fighting for. 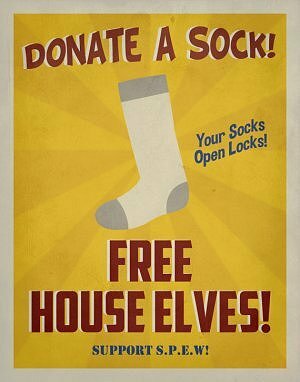 Her campaign to free house-elves is a dismal failure, because she is so convinced of being right that she fails to appreciate that the house-elves do not want to be freed (the Hogwarts house-elves even kick her out of the kitchens for going on about salaries and holidays) and that Dobby is an anomaly – who is already free anyway and wants nothing to do with her as he clearly thinks she’s bonkers. Amusingly, this actually screams “leftie white middle-class guilt” to me… her parents must be Guardian readers. It’s a name from Shakespeare. It’s in ‘A Winter’s Tale’. 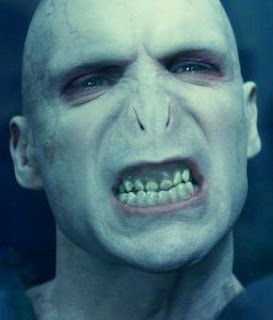 Um … although my Hermione bears very little relation to *that* Hermione, but it just seemed the sort of name that a pair of professional dentists, who liked to prove how clever they were … do you know what I mean … gave their daughter a nice, unusual name that no-one could pronounce! I mean, parents do that! She enjoyed a comfortable, rather privileged upbringing: her parents are dentists who go to the theatre in the West End, who like skiing and camping holidays, who take her to France… I simply do not expect a book character with this kind of background to be black. It is of course possible, but not very probable. Guardian articles on this topic, as well as being tediously predictable, are also getting stupider by the day: “Muggles gonna hate” is the latest headline! Seriously. It is becoming increasingly hard to tell the Guardian apart from the Onion. If race isn’t specifically assigned as black or Asian, then it’s assumed to be white. White people make up less than a third of the planet’s population but because of the way society is structured, it can sometimes seem as if the tooth fairy or the Easter bunny are assumed to be white too. The planet’s population, uh? How about we look at the population of the UK, where Hermione was born and grew up? 3% black people in 2011. Three per cent. And suddenly it’s a very different story! Cleopatra, along with the rest of the Ptolemaic dynasty, was actually Macedonian Greek and not Egyptian – but never mind. Oh dear… Tarzan is the son of an English lord and lady, who is orphaned as an infant and raised by apes. How on earth can he not be white? So, just because I do not agree with this gigantic, author-approved retcon, I am now officially a racist. I’m not overly bothered though. Sorry, what was that? Am I now going to boycott the play and sell my hideously expensive stalls ticket on eBay? Of course not, don’t be ridiculous.